Andy Partridge and Colin Moulding may have written some of the best songs of the 70s, 80s, and 90s that most people have never heard. They teetered on commercial superstardom for years and potentially could have gotten there had it not been for Partridge's crippling stage fright that caused the band to stop touring in the early 80s. Heading to the studio with a new-found freedom to create music without concern for how to reproduce it live, XTC began to push the envelope of their sound. But it would take a few albums for them to establish the right formula that would result in 1986's Skylarking. In the middle lies The Big Express. At times disjointed with angular expression and fluid poppy hooks, this album starts off with a chug and slowly puff puffs it's way to a grinding halt some 44 minutes later. 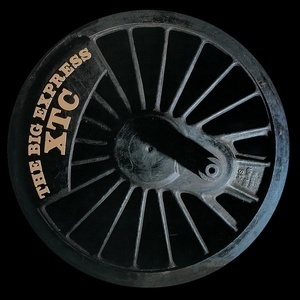 This album seems polarizing among XTC faithful with some calling it one of their best works and others putting it at the bottom of their catalog. For us, we all pretty much agreed; this does not match the power of Partridge's and Moulding's work that came both before and after its release, but that does not make it any less important in telling the full story of this band from Swindon.